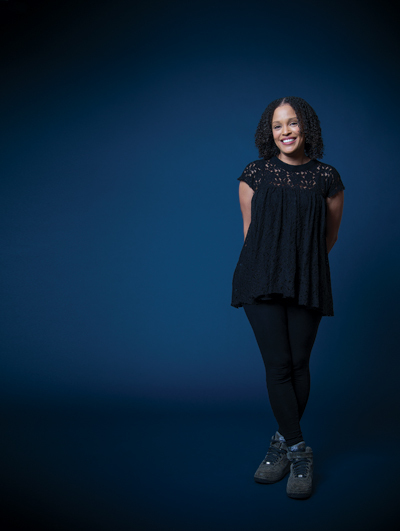 “A sensitive, lyrical narrator of difficult stories from the land of Faulkner and Welty.” That’s how the New York Times describes local award-winning author Jesmyn Ward. A native of DeLisle, Mississippi, Ward is a highly acclaimed writer who has made a name for herself in the literary world through her vivid portrayals of young black men and women in the South. Her first book, Where the Line Bleeds, the coming of age story of a young black man in a small Mississippi town, was an Essence magazine Book Club Selection and received multiple honors including one from the Black Caucus of the National Book Award. Ward’s second novel, Salvage the Bones, a story told in the wake of Katrina, won the 2011 National Book Award for Fiction and the American Library Association’s Alex Award. For her third book, Men We Reaped, Ward crafted a memoir that details a five-year period in her life during which she lost five young men she knew well, including her own brother, each of whom died young. It was named among the Best Books of 2013 by Time, New York, The Chicago Tribune, The New York Times, NPR, Kirkus Reviews and Publishers Weekly. Currently taking a break from her work as an instructor at Tulane University thanks to being awarded $200,000 for the 2016 Strauss Living Award, presented by the Academy of Arts & Letters for literary excellence, Ward is at work on her next novel, which she says again focuses on the theme of family. “It’s about a family traveling from the Gulf Coast to northern Mississippi to pick up their father in prison,” she says. “I started thinking of it like As I Lay Dying, but it has somehow morphed into a bit of a ghost story.” The novel is due out next September. In the meantime, look for The Fire This Time, an anthology of essays centered around race in America Ward has compiled that will be out this August. Mentor: I’ve had several mentors. My high school teachers, several of whom were women, were really important to fostering my love of reading and learning. I’ve also worked with some fantastic writers who taught me so much about craft and how to navigate the world as a professional writer: Thomas Lynch, Nicholas Delbanco, Peter Ho Davies and Elizabeth Tallent. Defining moment: Winning the National Book Award was definitely a defining moment of my career. I didn’t think that I would win, so when I did it was an utter surprise. Winning opened up so many doors for me in the publishing industry, and it introduced my work to so many readers. Advice for young women: Fight for what you love. Goals: I want to write as many good books as I can. I want to become a better writer as I age. I want to continually develop as a writer. Favorite thing about what I do: I like immersing myself in fictional worlds with fictional characters that I’ve come to love.